I’m reading The Woman Who Went to Bed for a Year by Sue Townsend at the moment. It’s enjoyable. I give the odd chuckle here and there. The words ‘laugh out loud funny’ feature on the blurb. I appreciate that Sue Townsend is a great comic writer. But it’s not going to hit my top 10 any time soon. Comic writing just doesn’t engage my emotions. People would probably use the words “depressing” or “heavy-going” to describe the books on my top 10 books that other people routinely describe as depressing or heavy. I prefer to use words like “profound” or “moving.” I understand that life is crap and that people read to escape that crap. But I like to see real life reflected back at me. That’s what serious books do. They help you to understand life better, to understand why people behave the way they do. Comedy acts as a buffer. Have you ever been in the company of a person who cracks a lot of jokes and you’re entertained for the evening, but then come away feeling that you don’t know them at all? That’s the effect a funny book has on me. The comedy sparkles, but it feels as if the story is concealing its heart. Serious stories don’t shy away from life’s truths. They allow you to really know what’s going on in a character’s mind and heart. They give you an insight into what it’s like to live someone else’s life, to experience loss and upheaval. You can then imagine how you would react if these events happen to you, so that when difficult times come, you don’t get as much of a shock. And if you’re in the middle of those difficult times, isn’t it great to know that there are others that have gone before you? It’s comforting to know that whatever you’re experiencing, there’s a silent army of support waiting for you in the pages of a book. Reading a story with a sad or difficult theme, whether it’s a memoir or a novel, is a cleansing experience. It allows you to explore your own experience and to get in touch with your emotions. Above all, serious stories can be a beacon of hope, a testament to the enduring strength of the human spirit. Read A Fine Balance by Rohinton Mistry and you’ll see what I mean. Do you have a similar response to serious stories? Or do you want to plead the case for comedy? In one of my earliest blog posts, when I was still making the transition from journalism to general writing, I wrote that journalism and writing were not as compatible as they seemed. I’m still glad of my journalism grounding though, because the skills required for journalism contain valuable lessons for writing, particularly if you’re going for publication. In journalism, you only have a limited amount of space to say what you need to say. So you learn to weed out any unnecessary words and phrases and develop a crisp, concise style, making every word work for you. When you’re writing, being able to express yourself using very few words increases the emotional impact of your writing. When you’re developing a story in journalism, you need to know what’s newsworthy about it. What’s the angle that will make your story interesting? This angle acts as a roadmap when you’re writing your story. It helps you to decide what to keep in and what to take out. Put simply, anything that doesn’t relate to your story goes – including that beautiful sub plot that you can’t quite bring yourself to kill. Journalism teaches you to be disciplined about your time. If you don’t send in your copy or broadcast by the deadline, it doesn’t get used. The same applies to publishing. After all, time is money. When you know you have a date to aim for and that there’ll be consequences if you don’t meet the deadline, you’ll soon smarten up your act. The deadline can even be a motivating factor; knowing that people are counting on you to send in your work helps you to see the value of it. Ultimately, being a journalist helps you to be ruthless and rigorous with your content. It’s the level of rigour you need if you want to survive in the dog eat dog world of publishing. When I blog about creative writing classes, I concentrate on the meat and bones of the class, the exercises, the techniques. Certainly, once you have those in place, your class will go smoothly. But it’s the ingredients you can’t predict that decide whether a creative writing class will have that extra zing. I’ve identified three of those ingredients. It may sound as if I’m being flippant, but when these ingredients are in place, the atmosphere will be pleasant and conducive to learning. They’re a real indicator of the mood of the class. If a person texts or calls you to tell you they’re not coming, it’s a touching sign that they’re committed to the class and wish they could be there. They’ve built up a relationship with you and they don’t want to leave you in the lurch. And it’s reassuring to know that if I see an empty chair, it’s empty for a good reason and the person hasn’t jumped ship. 2. They take a long time to do the exercises. Some people naturally work quickly. But I’ve found that when students take longer over exercises, they’re taking care to understand what they need to do. Again, it’s a sign of commitment. It can also show that students are getting carried away with their writing and that the creative juices are flowing. I’m on a secret mission to thicken my students’ waistlines! No, I actually get biscuits and chocolates out of appreciation for the fact that they’ve decided to brave my classes. And I’ve noticed that when students eat them, they’re willing to let their hair down, relax and have a laugh. If you give or go to creative writing classes, what do you think are the tipping points for a successful class? Last week, in my creative writing class in Clonmel, the students created characters and were encouraged to make them do slightly crazy things, like walk around the room. They did it dutifully, but dubiously. I was a little surprised, as most groups relish the chance to play God, but these things happen. Some exercises work brilliantly with one group and fall flat with another. So this week, I acted on a hunch and for my class on setting, I used a piece of text from John McGahern’s memoir, an evocative tribute to his home county of Leitrim. The hunch was correct. They drilled deep into the piece and relished the description of nature. Later on, their attention was riveted by a contribution from one of the students about a colourful military character. Why are some people drawn to the robust realities of non fiction, while others prefer fictional flights of fantasy? And which is more compelling? Let’s take the Tudors as an example. There’s nothing to beat the truth. That’s why people are drawn to non-fiction. As they read Mary S Lovell’s biography of Bess of Hardwick, one of the most powerful women of the Tudor age, they know that these amazing events – the four marriages, the imprisoned Scottish queen – are actually real. They’re also comforted by the fact that all the facts that Lowell has backed up all the facts she presents in the book with meticulous research. 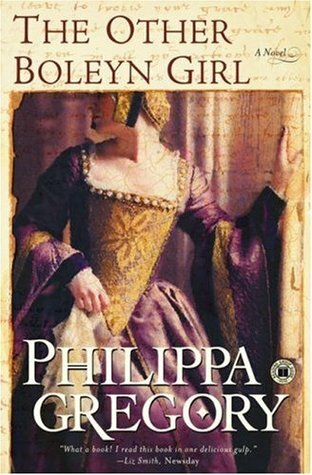 Meanwhile, people who read a book like The Other Boleyn Girl by Philippa Gregory will get a sense of what it’s really like to be a Tudor. They can get under the skin of a character and experience the world through their eyes. Non-fiction may give you an accurate picture of a country or a period of time, but fiction gives you the chance to travel there. And when you can marry the two, you’ve a match made in heaven, as is demonstrated by Hilary Mantel’s masterful series of books on Tudor powerhouse Thomas Cromwell, Wolf Hall and Bring up the Bodies. Which is more compelling, fiction or non-fiction? You decide. I’d love to hear your thoughts.